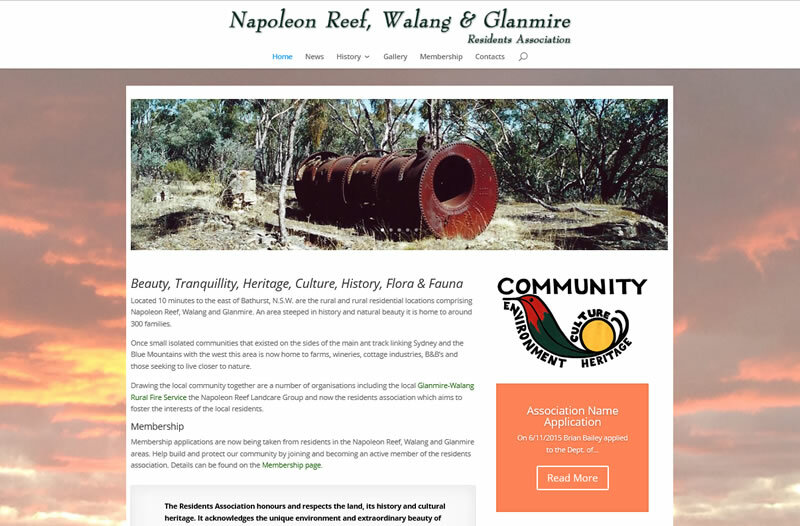 Napoleon Reef and surrounds spotlighted in new website. The Napoleon Reef, Walang and Glanmire regions are located about 15 minutes east of Bathurst, NSW. The goal of this website is to showcase the beauty, tranquillity, heritage, culture, history, flora and fauna of the location. It will also provide a communication channel for the residents of this small community. Local activities, news and events are included in the website along with historical information and photos. The website will also provide a repository for information on the cultural and historical records of the region and it’s residents. The NRWGRA website can be visited here and the area can be found just off the Great Western Highway . Design and build a website suitable for showcasing a small community and allowing dissemination of information to community members.